Welcome to a new post by the Atlanta Motorcycle Injury Attorney about UM coverage or uninsured motorist coverage. Now, it will be easier to think about UM coverage in Georgia in terms of being uninsured completely and under-insured. If someone is uninsured that means that they have no liability insurance. So, they are just driving about without any automobile coverage in case of a wreck. UM coverage also speaks to the situation when they don’t have enough insurance. What do I mean by not having enough insurance for my car wreck? That means that the value of your claim is higher than the entire amount of insurance the other driver has. What that means is that is all the money for you with respect to that driver. Now, you can sue the individual and pursue a claim against them individually. Sure, you can try to collect blood from a turnip, but we are talking insurance here. Now, you might be thinking that they have a lot of money. Yes, and generally they would have great insurance to protect their wealth. Generally, in those cases getting full compensation for your personal injury will happen. Now, this article is not intended to cover issues of stacking of insurance policies, but you also look to their spouses for additional coverage as well as on your side for additional UM policies. Check out this article on writing personal injury demand letters. Who Is Covered with Uninsured Motorist Coverage? Who is covered? The person named on the policy is covered. Anyone who resides with the insured is covered under the policy. Further, anyone else named on the policy is covered, of course. If you are married, you might have more auto insurance coverage than you thought. What I am talking about is UM coverage or uninsured motorist coverage, again. 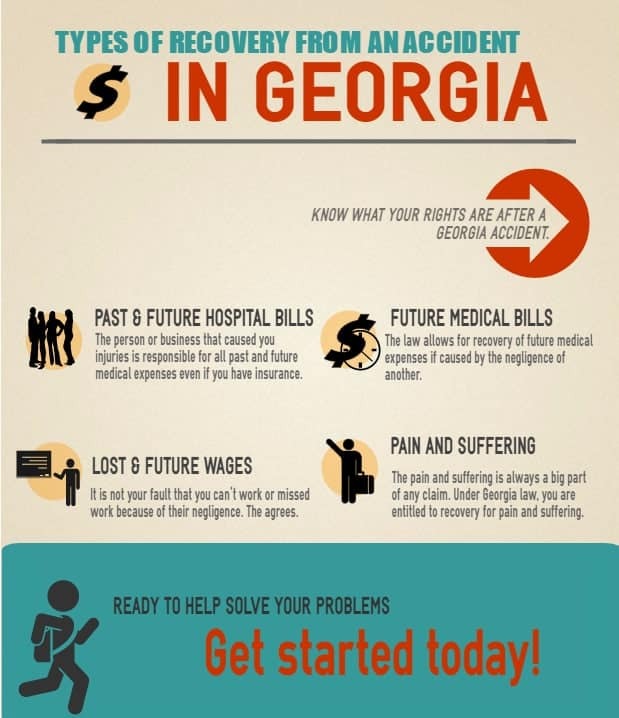 UM policies in Georgia cover anyone who resides with the insured. That means that if your husband has UM coverage and you were in an accident with either an uninsured or under-insured driver, then you would be able to get a benefit of their insurance. That is big. At a minimum that means an additional $25,000.00 to your case. Let me explain myself with an example of uninsured motorist coverage. Let us say that you were in an accident with a hit and run driver. Your medical bills are ten thousand dollars. Guess what? You have a bill, and it is for ten thousand dollars. Are you pulling out your checkbook, yet? Well, put it back in your pocket. If you are living with someone at the date of the accident that had Uninsured Motorist coverage on that date, then you are covered. That means that those medical bills can be covered, and life and continue on. Let us now say that the other driver did not flee and is known with the minimum amount of insurance required in Georgia of twenty-five thousand dollars. Your husband or wife has Uninsured Motorist coverage. And let us pretend everyone agrees you have a claim for forty thousand dollars. That means that the first driver’s insurance will settle with a limited release, and then you can settle with the UM or uninsured motorist coverage carrier for the additional fifteen thousand dollars. Isn’t that cool? The law gives and takes. Here, it can give you what you would not have and be SOL. If you have ever been hit by a hit and run driver, you know that Uninsured Motorist Coverage got you out of a jam. Did you have medical payment insurance? That will help you out of a jam, as well. Not having enough insurance to cover all of the compensation due to you, is not a fun thing to happen in your life. The accident was bad enough. You had an intense amount of pain at the scene. You had to spend time at the emergency room and go through all of that. Then you still felt pain. You took medications they gave you. Now you have bills to pay. What??? Can uninsured motorist coverage help? The same plays out in a fatal accident. Think about it? Do you have enough car insurance to cover for the loss of someone’s life? That is very unlikely. Atlanta wrongful death cases range over one million dollars, so I doubt you have that much car insurance. On the other hand, in a tractor trailer or 18 wheeler accident, their insurance policy might enough insurance coverage. When you need help with an insurance company, liability coverage, uninsured driver questions, problems with collision coverage, underinsured motorist coverage, too many damages from bodily injuries, damaged vehicles and property damage and more. The Law Firm helps people hurt in all types of accidents who need help with uninsured motorist coverage in Marietta, Monticello, Macon, Roswell, Alpharetta, Marietta, Dunwoody, Sandy Springs, Buckhead, Duluth, Stone Mountain, Jackson, Forsyth, Griffin, McDonough, Riverdale, Stockbridge and more.